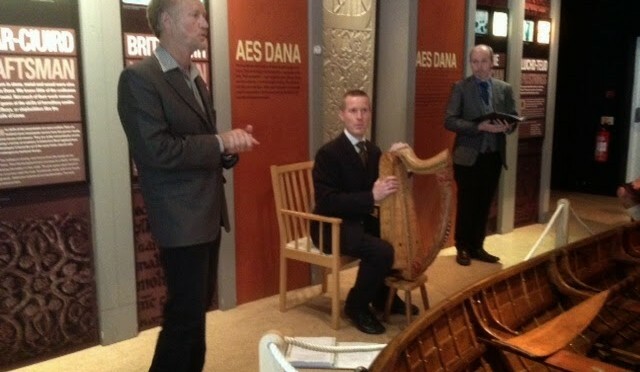 This is the final set at the Ceòl Rígh Innse Gall concert in the museum at Armadale, Isle of Skye, last month: medieval Gaelic ‘bardic’ poetry, sung with accompaniment played on the replica of the medieval Scottish ‘Queen Mary’ harp. After the music finishes we hear Godfrey, Lord MacDonald, speaking with the ‘vote of thanks’. Here’s the first photo I have seen so far from the Ceòl Rígh Innse Gall concert at the Museum of the Isles, Armadale, on the Isle of Skye a couple of weeks ago. Today in the harp class in Dundee we had fun trying out harp accompaniment to medieval bardic poetry! Everyone was very game! We looked at the poem which was the centrepiece of Wednesday’s concert, Ceannaig Duain T-Athar a Aonghas (pay for your father’s poem, Angus). It is addressed to Aonghas Mòr, the father of Aonghas Og the companion of Robert the Bruce and the leader of the Islesmen at the Battle of Bannockburn in June 1314. 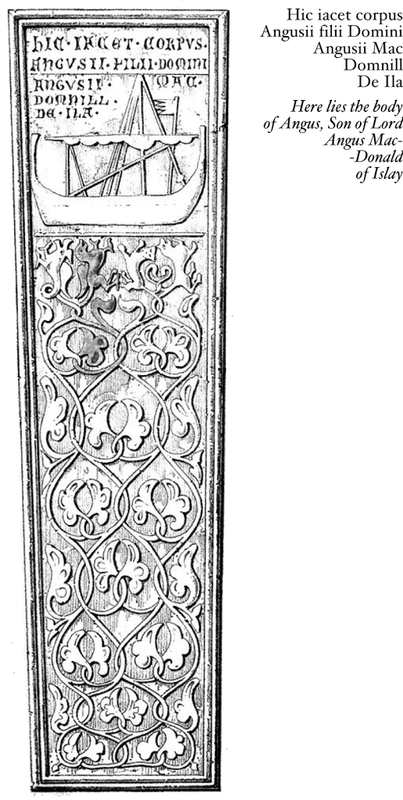 (The picture here shows Angus Og’s gravestone on Iona – see Ian MacDonnell’s work for more info). láid, a Aonghais, comha ad cheann. In Ireland or in Scotland, there is not another Aonghas like you! You graceful form! May Aonghus of the dewy grass of Newgrange, send you gifts, Aonghus! It’s pretty sycophantic stuff, extended ego-stroking of the rich and powerful Lord of the Isles, effectively the King of the West of Scotland, but it is also subtle and powerful word – magic, and the voice of the harp supporting and helping to project the verbal presentation of the complex nested ideas has a lot of presence and power. 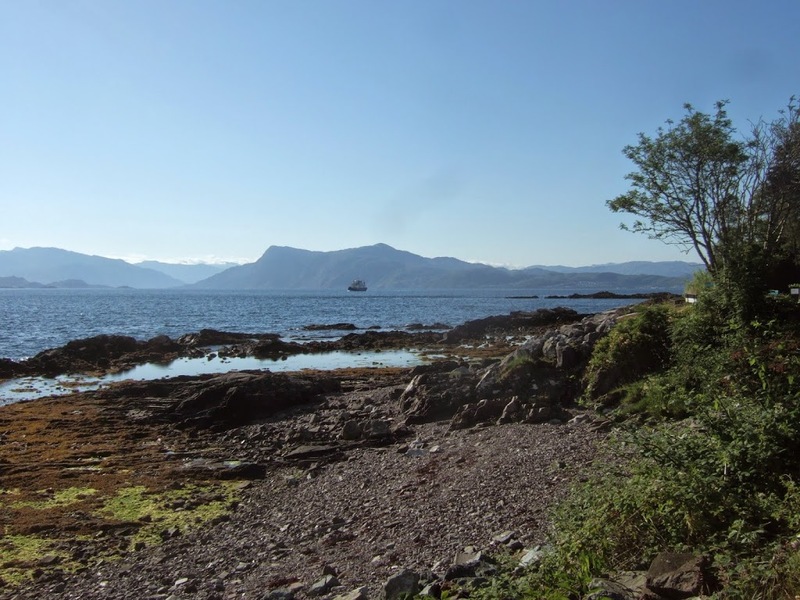 Yesterday evening I was in Sleat, presenting the medieval Gaelic poetry addressed to the Clan Donald Lords of the Isles, alongside Gaelic singer Gillebrìde MacMillan. We did two different hour-long sets, the first a more formal presentation in the atmospheric acoustic of the Museum of the Isles, and the second after a delicious buffet supper in the Victorian Stables building on the Armadale estate. The audience, who comprised the great and good of Clan Donald, were entranced and delighted by Gillebrìde’s singing of the classical Gaelic verses praising their 12th and 13th century ancestors Angus Og as well as Donald himself. 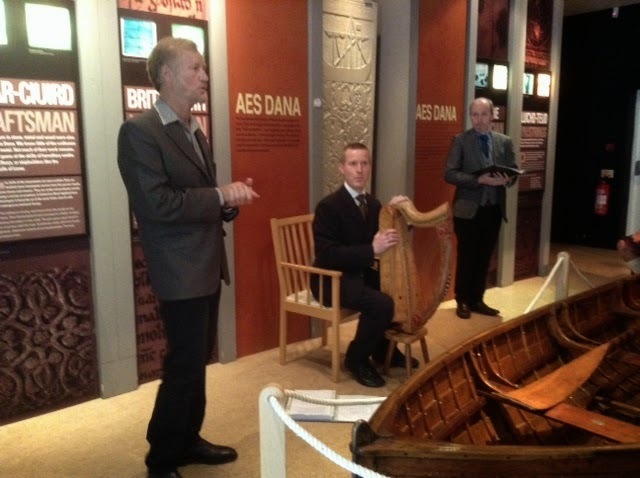 As well as playing the harp to accompanying Gillebrìde’s delivery, I also did some solo harp tunes on the replica Queen Mary harp, including Cogaidh no Sith. I was delighted to get the same reaction as when I played it in St Andrews – people said it mesmerised them and seemed much shorter than the 15 minutes (I played a half-version with only 6 variations). I understand there was some videotape made as well as photographs – I have not seen any of this yet though. 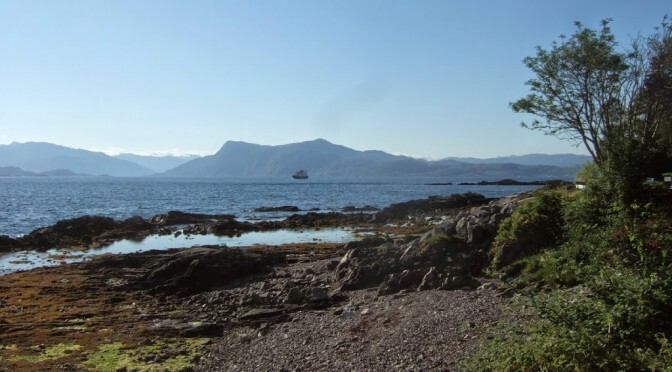 Sleat was beautiful; this morning I woke up early and walked down through a wooded valley to a secluded bay where I was able to swim in the sunshine before going back to the B&B for a hearty breakfast with fresh local eggs and strawberries. 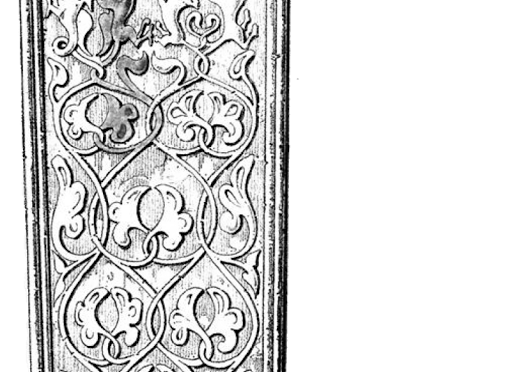 I am really looking forward to repeating some of this material with Gillebrìde on Sunday 29th at the MacMhuirich Symposium. Do come along if you can, at 7pm at the Western Club, 32 Royal Exchange Square, Glasgow G1 3AB.